One of the most common reasons why people do not perform CPR during an emergency is because they worry about doing it wrong. 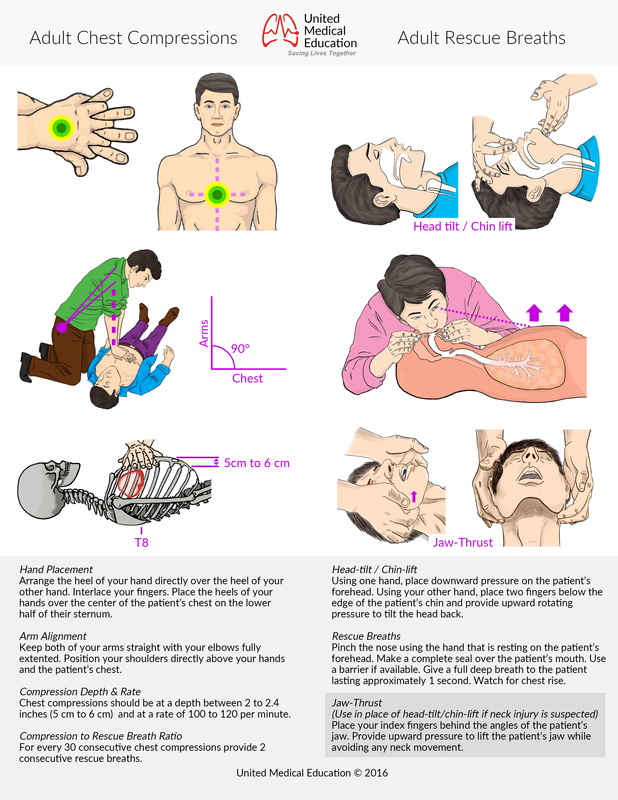 For this reason we have created a detailed infographic that explains how to perform chest compressions and rescue breaths on an adult during CPR. If someone follows these easy to understand instructions they should be able to perform chest compressions and rescue breaths without any problems. Take the time to study each image and the corresponding text at the bottom of the infographic and you’ll be performing chest compressions and rescue breaths like a pro!